Contact us to book your family’s eye exam. Please call our office at: 905-876-0044 for further instructions. 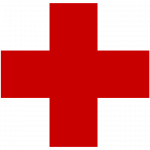 Use your best judgment – do not hesitate to find the nearest emergency room for immediate care. Walk-Ins welcome. 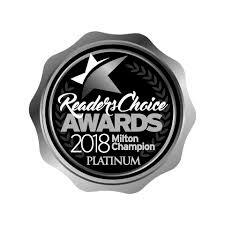 Dr. Alisa Khan has once again been voted one of Milton’s Favourite optometrists, winning this year’s Platinum Reader’s Choice Award. Is your child starting Junior Kindergarten in Ontario? If so, he or she is eligible for a comprehensive eye exam by one of our optometrists, completely covered by provincial health insurance (or OHIP). 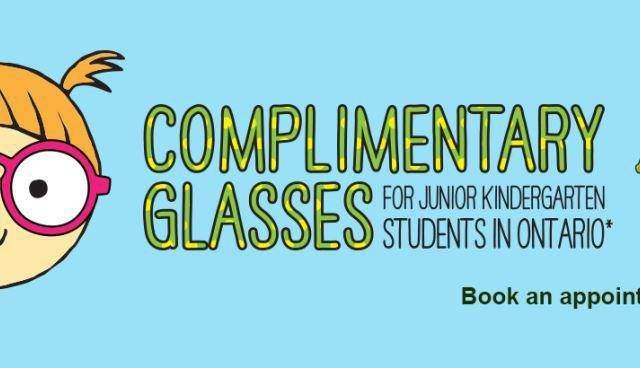 If your child needs glasses, he or she will receive a complimentary pair of glasses. Our office carries a number of eye care and wellness products. Ask our optometrists for more information. An individualized program of eye exercises and other methods to treat non-refractive vision problems. Pay close attention to the signs of myopia, and understand what it means, and how nearsightedness can be treated. We carry the latest European and American designer eyewear collections in a variety of styles, colours, and materials. It is never too early for your child to have an eye exam. Dr. Khan performs eye exams on infants and older. Myopia control is a process of wearing a contact lens at night (similar to braces and a retainer for the teeth) to reshape the eye, temporarily cancelling out the need for glasses or contact lenses during the day. This process has been proven to prevent patients from becoming more near-sighted. We use Myopia control for all patients. It can be used for patients with mild to moderate levels of near-sightedness, astigmastism and far-sightedness. 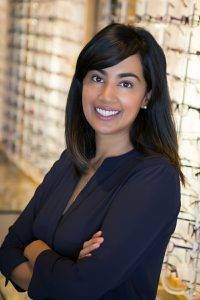 With an office in Milton, Milton Eye Care serves Ontario’s Halton region, including Campbellvile, Oakville, Acton & Mississauga– schedule an appointment today. If you have a moment, please give us your feedback about our site and your experiences with our Practice. I highly recommend this place. 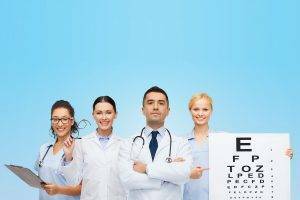 Professional and friendly receptionists; as well as amazing optometrists. Dr. khan is very relatable and personable. I appreciated the way she took her time to explain my eye test and answered any questions and concerns I had throughly. She’s very knowledgeable. I also got a pair of beautiful frames from here. Will definitely be returning! Nice doctors and staff. Highly recommended to go and get your eyes checked here! If you want to go to a professional eye clinic where the optometrists care about you, well then this the place for you to bring your family. Doctors and staff are wonderful! You're welcomed right as you come in and the experience is great beginning to end! I will definitely be coming here from now on. Super professional staff, always punctual and extremely knowledgeable as well. Dr. Khan is very thorough and patient. My kids and I always enjoy our visits here. Dr. Khan is absolutely amazing. Best eye doctor in town! Dr Khan is very knowledgeable and caring. My kids love going to see the eye doctor. The wait time was short and customer service was great.